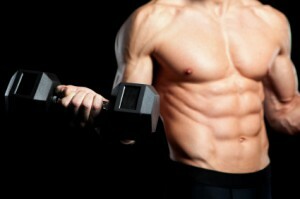 25 Jan Why you might not gain muscle mass despite hard training! I have been reading again, I know it is a dangerous thing. But hey you have to do it to stay on top of things. So I was reading Zatsiorsky et Kraemer’s book “Science and Practice of Strength Training” and I can tell you, it sure is not an easy Sunday afternoon read but still highly interesting. I came across an article in there that talked about carbohydrate and protein intake before and and after a strength workout. So why the hell carbs? Well, carbohydrate intake after your workout is associated with a higher insulin level which itself is responsible not only for the transporting glucose to your muscle cells but also transporting amino acids into the muscle. Additionally growth hormones and insuline like growth factor -1 increase as well with the nutrient intake. It seems that the food intake may play a major role in optimizing the anabolic environment surrounding a workout. Great article, Mike! Thanks for sharing. The other great benefit of feeding yourself right after your workout is that I find it keeps me from binging later in the day. I totally agree. Eating when you need it is the key. Otherwise you might just sabotage your goals at a later point during the day when you binge.